No more than a day has passed since we were talking how the ever more powerful cars coming out the German manufacturers’ factory gates have made the national environment agency step in and now reports quoting some stratospheric power figures for the future Mercedes-AMG E 63 have already surfaced. Just as a quick reminder, all of the Mercedes-AMG models above and including the C-Class will be using the new 4.0-liter V8 engine, except, of course, for the 65 models which will carry on with that ridiculous V8. The thing is, though, that this new V8 is a rather flexible unit, being able to deliver all kinds of power levels from the standard 462 PS in the AMG GT to the 510 PS in the AMG GT S and even around 600 PS for the AMG GT3 model. It’s not lacking in oomph, we know that all too well (you can read our own test of the AMG GT S here) so then why should we be surprised that autocar.co.uk is saying the next Mercedes-AMG E 63 (S, probably) might squeeze 600 PS out of it? Well, simply put, because this would be the first time the 600 figure is hit in this war of the super-saloons in which BMW and Audi are also partaking. I can’t give an exact quote, but I remember a BMW exec saying that 600 PS would be too much for the M6 and that it doesn’t really need all that power, and quite frankly I do agree. While I’ve always been a fan of these absurd vehicles – family cars with supercar performance – I think there’s a point where you have to draw the line, a time when a balance must be struck and other solutions must be found to increase performance. Currently, the Audi RS6 and BMW M6 revolve around the 560 PS figure, so the 600 PS would put the Mercedes-AMG E 63 S in a serious advantage (not that it wasn’t already with its 585 PS). What’s more, the new car will also be lighter than the outgoing model, so the gain in power should make itself felt even stronger. 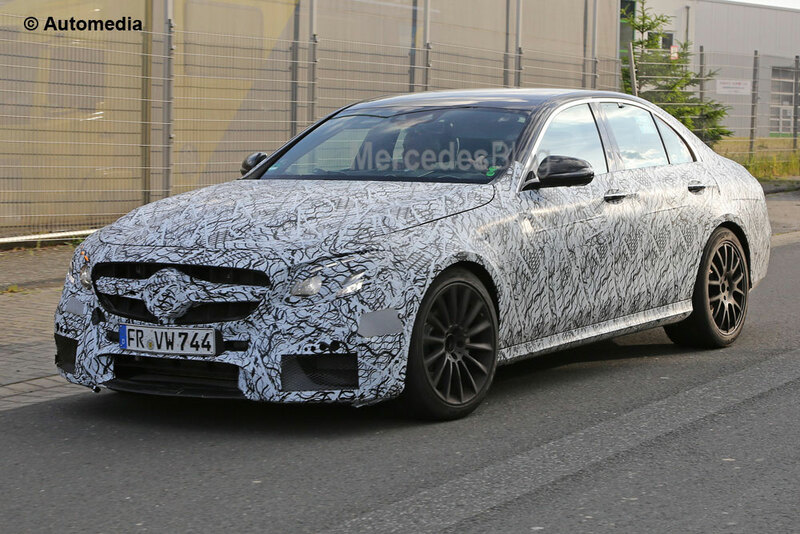 While there isn’t a precise launching date set for the new Mercedes-AMG E 63, the regular version is expected to debut at the beginning of next year in Detroit, so the AMG should follow shortly before the end of 2016. With that kind of power, it will certainly come with the 4MATIC all-wheel drive system and it will also be the first AMG model to use the nine-speed automatic transmission.